We’ve all heard the two-minute rule when it comes to brushing your teeth. But how accurate is it? Is the only way to make sure your teeth are clean to brush for two minutes? Well, the best answer is that it depends. It may take you two minutes to clean your teeth, or five minutes or 30 seconds. The important part is that they are clean. Technique is more important than the amount of time you spend doing it. It is most important that you brush your teeth the right way. Overall, two minutes is a reasonable amount of time to spend brushing your teeth, but there a few things to make sure you are doing as well. The toothpaste you use should have the ADA seal so you know its dentist approved. It’s also best to use toothpaste with added fluoride. While brushing, your toothbrush should be at about a 45-degree angle to your gum line. Start from the top of the tooth and work your way down when you are brushing your top teeth. Start from the bottom of your tooth and work up when you are brushing your bottom teeth. 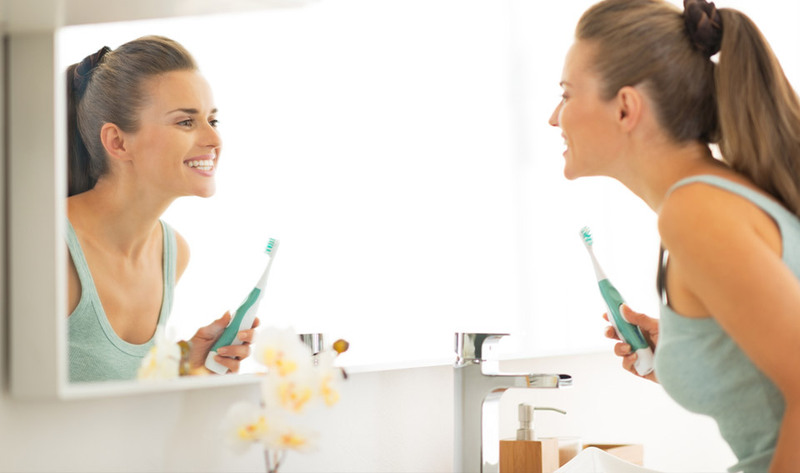 A Sonicare toothbrush is even better, as they are more effective in removing plaque. Most Sonicare’s have a 2-minute timer on them, so there’s no cheating! Finally, don’t forget to brush your tongue or use a tongue scraper. The top of the tongue harbors bacteria that can cause bad breath. Talking with your dentist and hygienist about your brushing technique can be very helpful. They can also give you advice about an oral health routine that is specific to you and your lifestyle.